This is a transformational energy package. 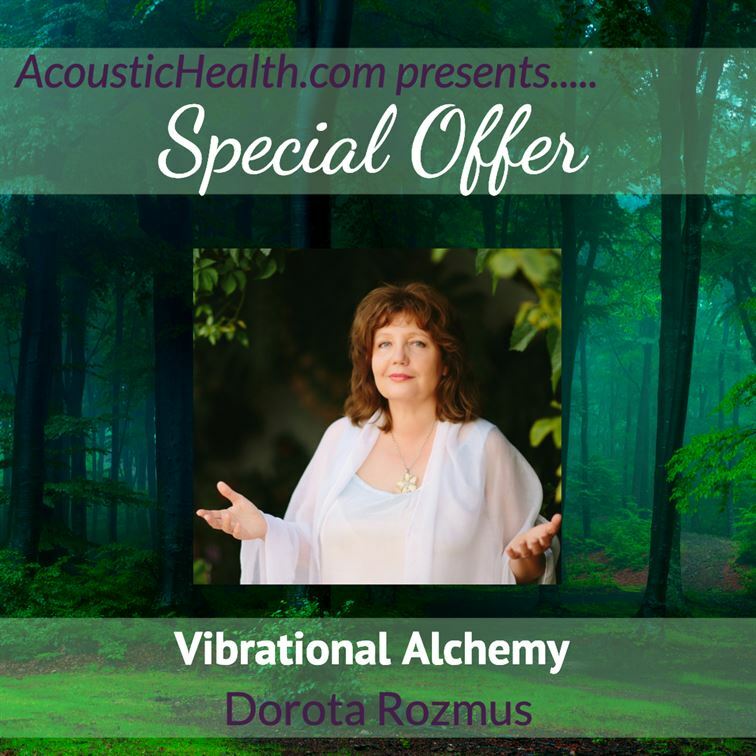 Vibrational Alchemy with Dorota’s talking and singing voice. 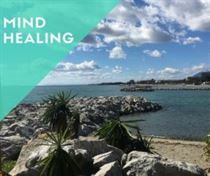 You can listen to these recordings many times and each time the vibration will help you transform more. These are MP3 products – recordings are created during live sessions. Mp3 session with voice activation. We are working from Soul level going into patterns of your mind to transform them into love. Through awareness of your choice within your mind you can transform some old programs connected to your ancestors and DNA. 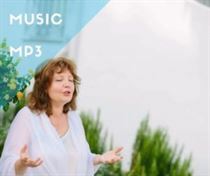 Dorota is using her singing voice to help light to “melt “old thoughts” creating vibrational energy field to help you transform back into love. Dorota is connecting you with Light Beings and your own Higher Self. Sound and vibration of loving thought are created and is shifting you into peacefulness. This session is a loving reminder that you already have frequency of calmness in you. You are activating the Light within cells and spine. You will work with your Higher Self and vibration of Dorota’s voice to wake up light within body, DNA, up and down through chakras. 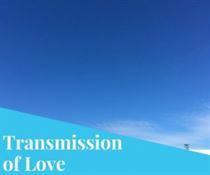 Dorota is activating Light and Love helping you to tune in to this vibration. It is safe to be within body , within love . 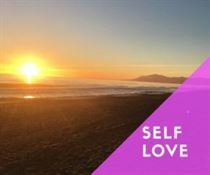 Item 4: From the Self Love – category – “Giving your human self-love that you are” Guided group session and voice activation. With your awareness you can remember that your power of love is here in the “now”. In this life and in this body you are bringing back to love all of you. Bring back All parts of your Being that are sad , lonely , judged , separate from God. So… love yourself , create love vibration , wake up light within. 20 min mp3 session to help you love your inner child. Dorota’s Voice activation is creating vibrational alchemy. Allow new information of love for you as a child and activate vibration that has been forgotten. This is a 30min guided voice activation. It is deep and loving sound – singing session, channeled vibration of divine light. You are transforming yourself starting from your breath. Sound of your breath can help you with your conscious creation and activation of love within. Light vibration will be activated inside your chakras. 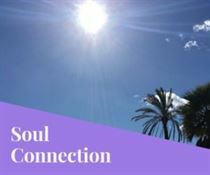 Light Beings are assisting through sound of Dorota’s voice to help you to remember your light. You can relax and feel safe within the Light and Love. 30 min. Mp3 session with voice activation. Tune in your breath with the ones that are always breathing with you. Universe is supporting you lovingly. This is loving and peaceful activation bringing you support from the Angels. This is mp3 recording of Dorota’s music with full production of sound, vocal and keyboard. Recorded and created by Dorota Rozmus. Dorota works with Light and Love frequency, channeling energy vibration using her singing and speaking voice. After purchasing special offer package you will receive the link to book this session. Group online session. You are invited. 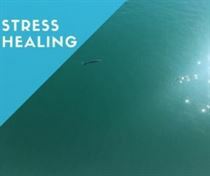 Regular Energy healing and voice activation classes with Dorota Rozmus are happening on Sundays. Sound alchemy will be making changes and shifts in many levels of your Being. 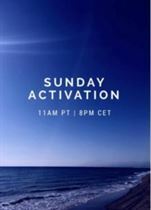 Our ACTIVATIONS STARTS SUNDAYS 8pm Central Europe Time. You will receive link to this meeting. 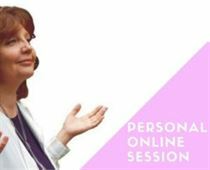 session – event: “Connecting to Your Higher Self” This 27min session is recorded live during online class. This activation is helping you to energetically activate this truth in your body, mind and heart. Cosmic information of the light is coming via Dorota’s light encoded transmission and singing voice. Your Higher Self is shining into your 3D field. “I can highly recommend Dorota. She is IT!I have had several sessions with Dorota and each time she takes me to a space where I feel the purity and innocence of who I am.